Are you due a phone upgrade? The folks over at Vodafone X are a generous lot. They seem to give away more products than they sell. Well, we're certainly not complaining and if you're an IT Blanch student, neither should you. 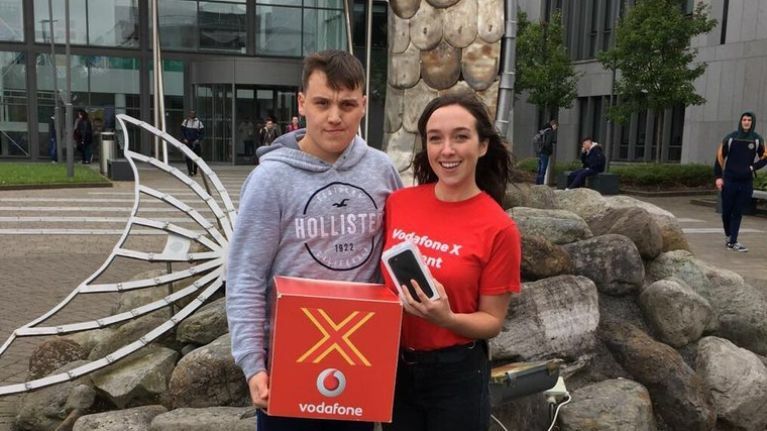 Over the past few weeks, Vodafone X have been hiding iPhone 8's on campuses all over the country for students to find. 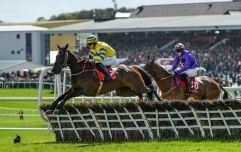 It'll be more of the same in Blanchardstown on Tuesday, 20 February. We all know what it's like living on a student budget, a new phone is pretty far down the list of things you can afford. Well, now you have an opportunity to upgrade for free. When we say "free" there's no money involved, but you will have to get involved in a treasure hunt. Small price to pay for such a magnificent prize. If you're not up to date on how this works then allow us to bring you up to speed. On the day of the hunt, we'll be giving you clues on the JOE Twitter and Snapchat (JOE_ie) channels. All you have to do is show up to college at 12 pm and keep your eyes peeled. There'll be other fun and games on the day so you'll be kept entertained while you try desperately to find the phone. Vodafone X allows students to enjoy 20GB of 4G data including Spotify Premium, unlimited weekends or Sky Sports extras - all for just €20 top up every 28 days.